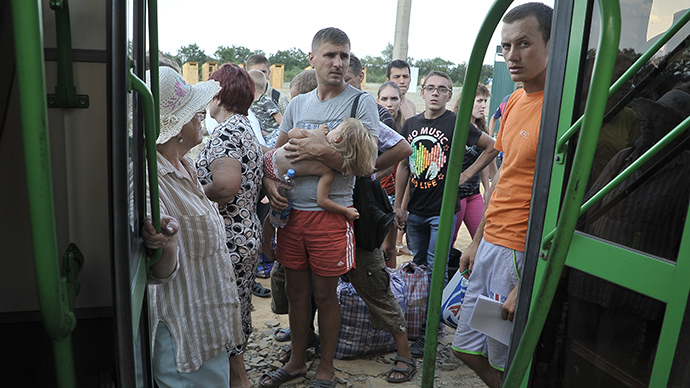 The Presidential Council for Human Rights has called upon the authorities and businesses to provide more help to people who agree to settle in the Russian Federation after fleeing the war in Eastern Ukraine. The council held a special session on Thursday in which activists listed the most urgent problems that had to be solved. In particular, the head of the council’s Commission for Migration Policies, Yevgeniy Bobrov, said authorities should simplify the procedure for getting official refugee status and temporary asylum for the Ukrainian citizens arriving in Russia from the regions engulfed in the armed conflict. He criticized the existing restrictions on work permits for refugees, saying all Ukrainian refugees must be allowed to work in Russia without acquiring additional documents and receive medical insurance.Disabled people from Ukraine should receive the same social support as Russians after they lodge their applications for asylum or refugee status, Bobrov said. He also reiterated earlier suggestions to short-track acquiring Russian citizenship by Ukrainian refugees. “We suggest that these people receive the citizenship on the same grounds as people with an official residence permit. We are interested in the situation when people from Ukraine get full legal status here as soon as possible as they are spiritually very close to us, they are, in essence, Russian people,” the Interfax news agency quoted the official as saying. 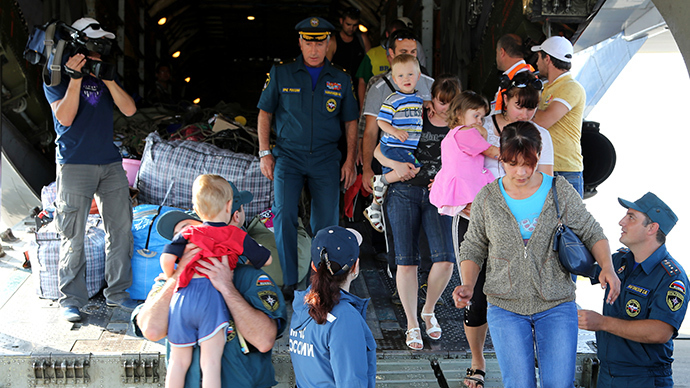 At the end of July, Russia’s Federal Migration Service reported that 730,000 Ukrainians had left their country for Russia since the start of fighting in Donetsk and Lugansk regions. 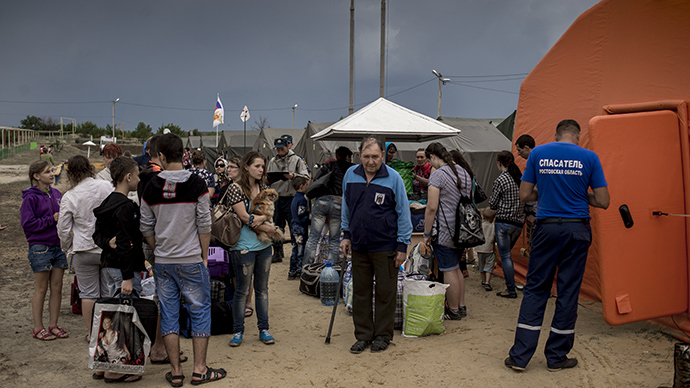 About 48,000 have lodged asylum requests. The head of the agency, Konstantin Romodanovskiy, said that as many as 490,000 Ukrainian citizens could seek asylum in Russia in the near future. Romodanovskiy also announced that Ukrainian citizens would be allowed to prolong their 90-day visa free stay by another 180 days, adding that they also will not be punished for minor violations of migration rules. 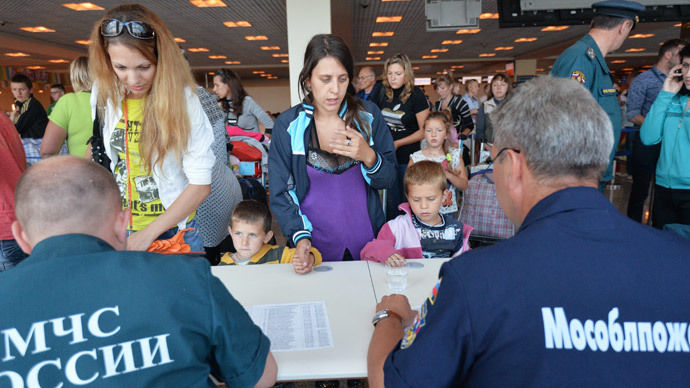 The Federal Migration Service has proposed a public discussion on a bill giving regional migration officials the authority to grant temporary asylum to Ukrainians within three days instead of the current three months, cancel the obligatory health test, and stop deporting and extraditing Ukrainians until ordered otherwise by the Russian government. 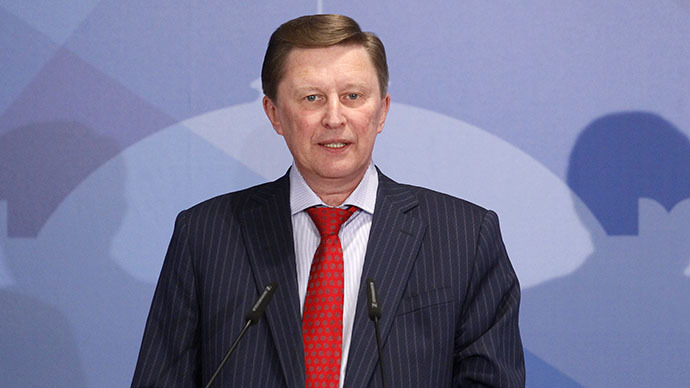 In mid-June the head of the presidential administration, Sergey Ivanov visited a refugee camp in the Rostov Region and suggested giving Russian citizenship to people born on Russian soil (the current law only automatically grants citizenship to children of Russian parents).